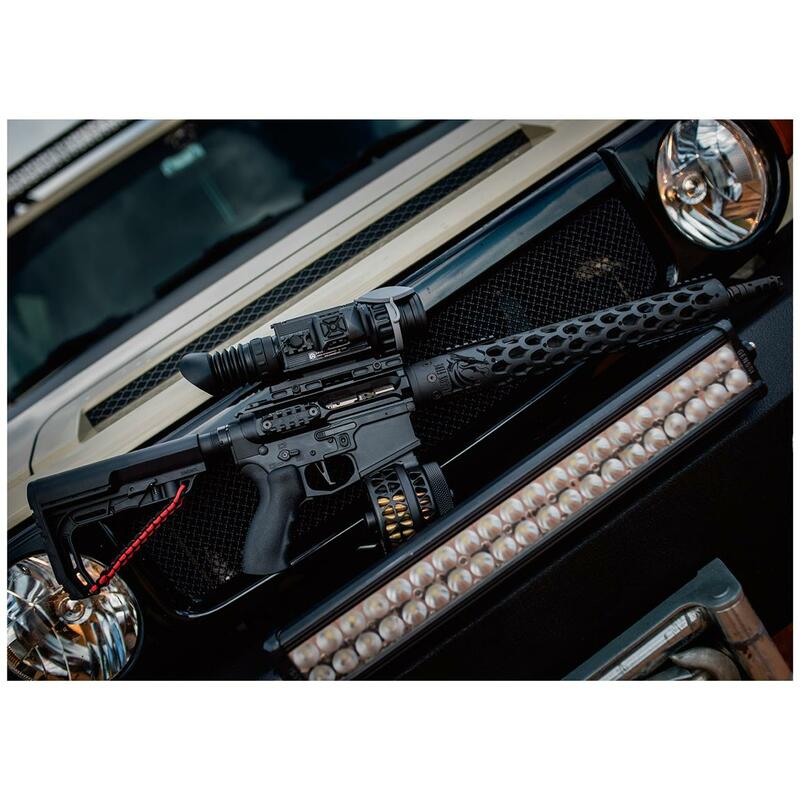 For serious hunters, law enforcement and military personnel who require equipment that not only perform at a high level, but has the rugged durability to withstand the toughest conditions, the Armasight® Zeus Pro series of thermal weapon sights sets the gold standard. 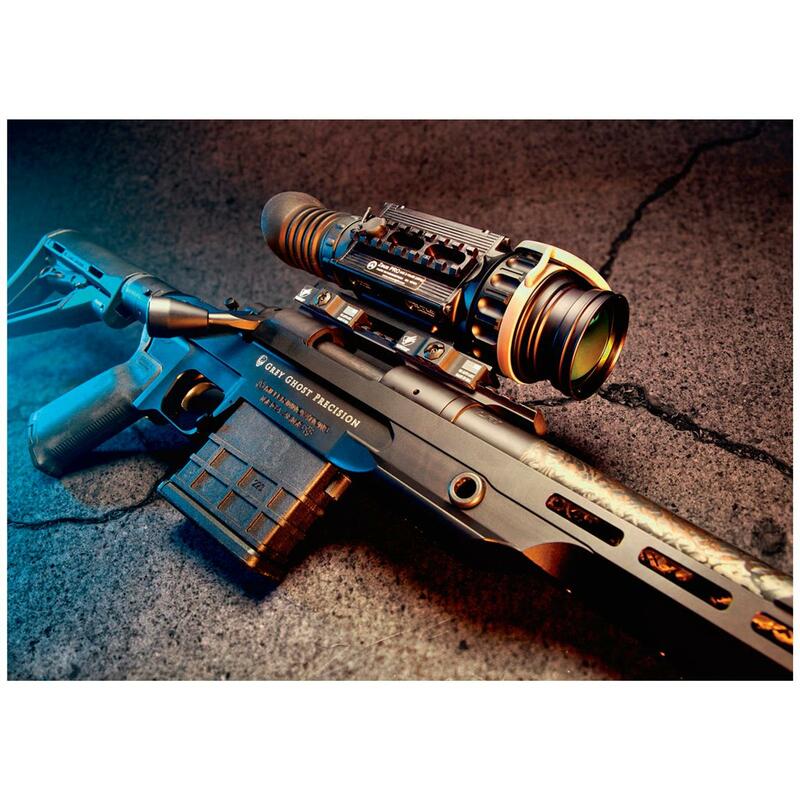 Based on the latest FLIR Tau 2 VOx microbolometer core and equipped with an upgraded AMOLED SVGA 800 x 600 display and super-fast 60Hz processor, the Zeus Pro 336 4-16x50mm (60Hz) Thermal Imaging Rifle Scope delivers enhanced digital imagery that's so crisp and clear, you won't believe you're looking through a thermal device. 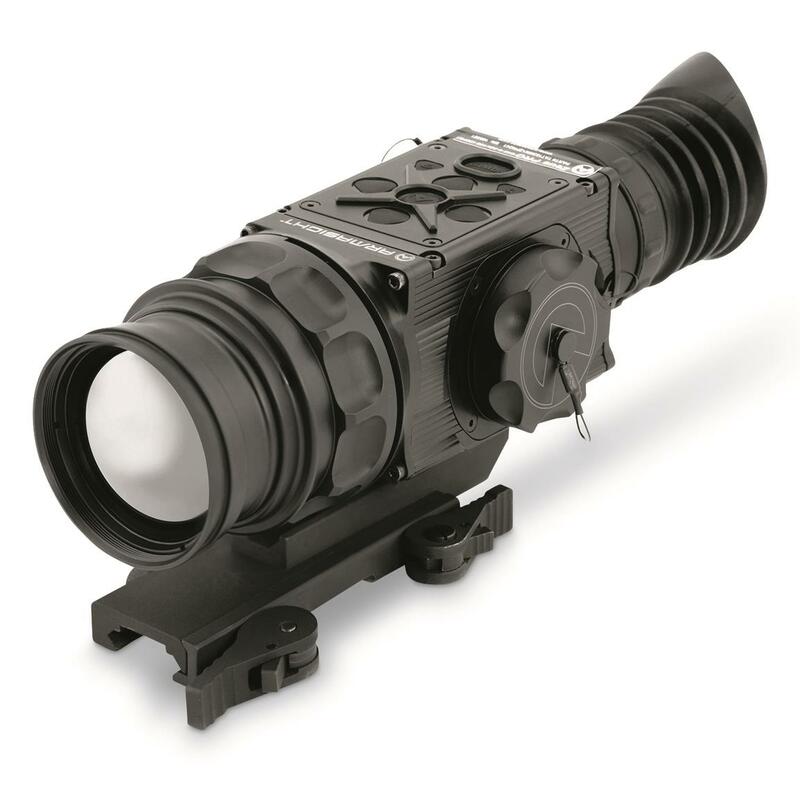 Built to MIL-STD-810 specs, Zeus Pro thermal optics are designed to perform in the harshest conditions. Each is recoil tested to .50 cal., totally waterproof and can be submerged up to 20m. Advanced features of the Pro series include a digital compass and digital inclinometer. Plus, an upgraded 4-battery power system that delivers up to 7 hours of continuous use and remains mission-capable with just a single battery. While primarily designed as a weapon scope, the Zeus Pro functions equally well in its collateral assignments as a magnified spotting scope or handheld thermal imager. Day or night, through rain, snow, smoke, fog, haze, dust and the obscurants, the Zeus detects targets with unfailing reliability. Video-in capability and still photo / video recording and playback are possible with with the optional Armasight® DVR (sold separately). And, Bluetooth® wireless capability allows for sharing of data and easy downloading of software updates. Simple, intuitive controls, direct button adjustments, direct combination button functions and electronic menu selections make the Zeus Pro easy to operate and adjust for optimal performance. The included wireless remote control can be placed anywhere on your weapon, allowing for easy adjustments and control manipulation without taking your hands of your weapon and out of the shooting position. 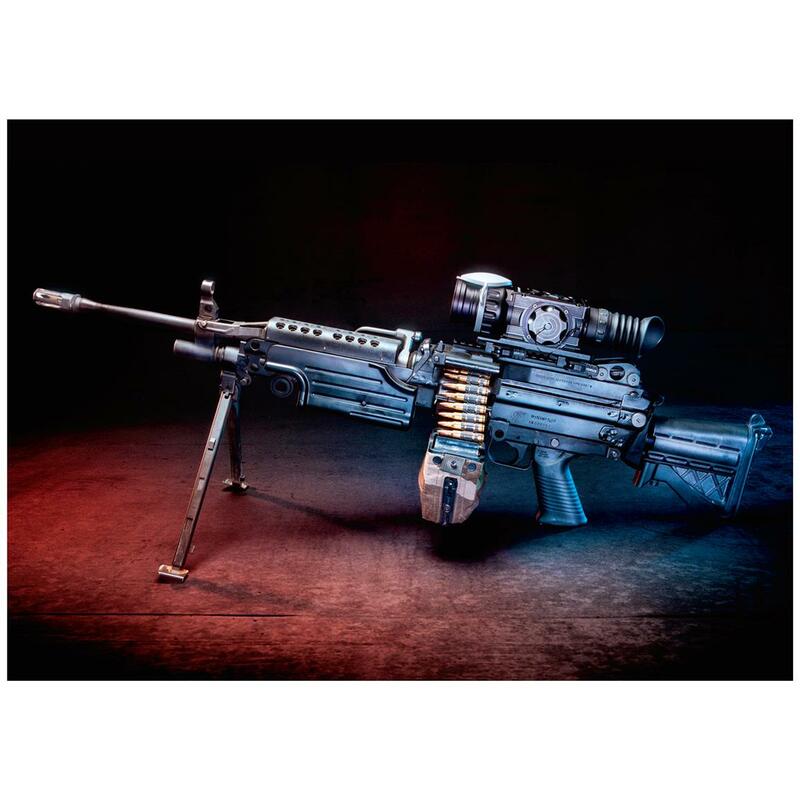 Rapid start-up gets the Zeus Pro up and running in less than 3 seconds, and a full compliment of color modes and special, user-adjustable imaging tools allows for fine tuning images to the situation and operator preference. The Zeus can be easily attached / detached thanks to a MIL-STD-1913 quick release mount. 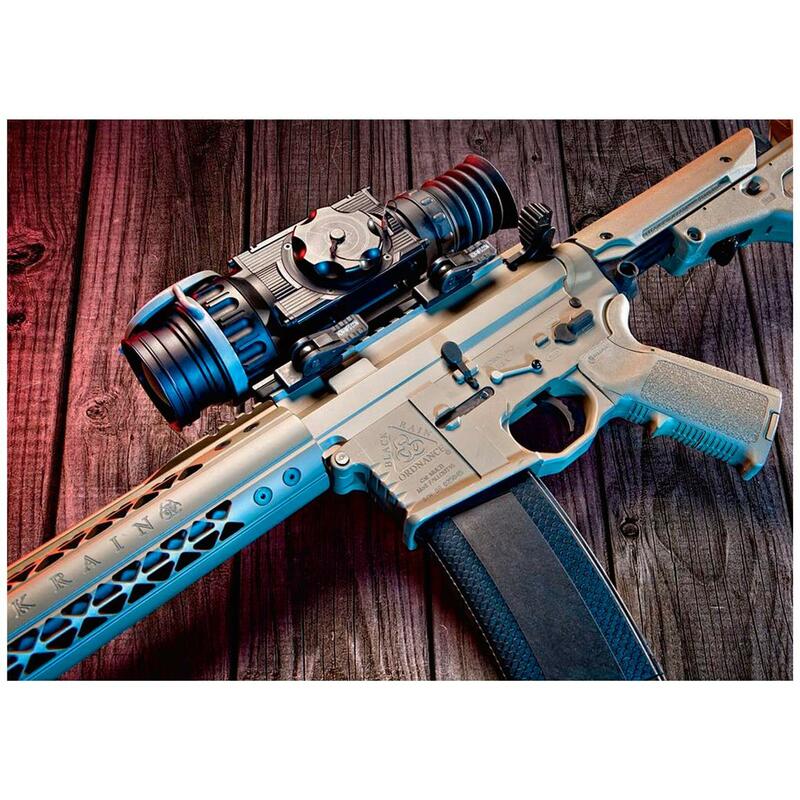 Plus, integral MIL-STD-1913 rails allow for attaching option day optics or accessories. User-Controlled Manual Non-Uniformity Correction / Flat-Field Correction (UCMNUC / FFC). There is a mechanical shutter between the camera sensor and the lens. This shutter is used to perform a non-uniformity correction (NUC) also known as flat-field correction (FFC. During FFC, the shutter presents a uniform temperature source to each detector element in the array. While imaging the flat-field source, the camera updates the offset correction coefficients, resulting in a more uniform image after the process is complete. All Zeus models allow for user to manually trigger or interrupt scheduled UCMNUC / FFC function. Silent Shutterless NUCTM (SSN) - In addition to user controlled manual NUC / FFC all Zeus models employ a digital supplemental non-mechanical flat-field correction that allows to extend the periods between mechanical shutter events and to further reduce image noise. SSN is an always ON enhancement. Turn-on Time, max: 3 sec. Reticle Type: 6-Pattern Digitally Controlled: Dot 4 MOA, Line Dot, Cross Center Dot, Cross, Crosshair, and "No Reticle"
Second Generation Digital Detail Enhancement (DDE) - "SHARPNESS"
Smart Scene Optimization (SSO) - "SMART SCENE"
Information Based Histogram Equalization (IBHEQ) - "SKY / SEA"
Overall Dimensions: 7.5" x 3.0" x 3.0"